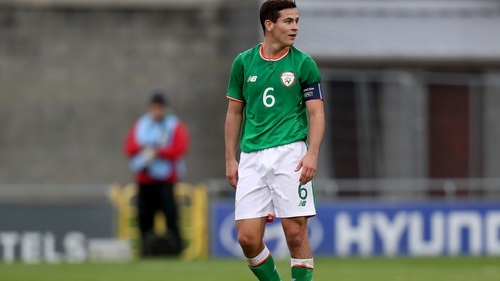 Josh Cullen has been called into the Ireland squad as a replacement for midfielder Alan Browne, who has been ruled out through injury. Former Ireland Under-21 captain, Cullen, who is on the books at West Ham, but is currently out on loan at Charlton Athletic, was not named in manager Mick McCarthy's provisional squad of 38 players, but is now in contention to play in the upcoming Euro 2020 qualifiers. The central midfielder will join up with the squad this weekend at the FAI awards, ahead of training on Monday at Abbotstown. Burnley centre-half Kevin Long, who was cut from the provisional squad yesterday, has also been brought back into the squad. Portsmouth forward Ronan Curtis has also had to pull out of the squad due to injury. Ireland open their qualifying campaign with an away trip to Gibraltar, which takes place on Saturday, 23 March, followed by a home clash with Georgia the following Tuesday.